The Gold Famicom Classic Mini, also known as the Famicom Classic Mini: Weekly Shonen Jump 50th Anniversary Edition, launched in Japan on July 7, 2018. As we’ve reported two months ago, the golden console was such a huge hit that pre-orders instantly sold out on all major websites and retailers the day they went up. But how did things go on launch day? Based on reports we’ve gathered from the ground, Gold Famicom Classic Mini consoles were easy to find at big chain retailers such as Bic Camera and Sofmap. This is due to an extra surplus of units sent out by Nintendo before launch. However, the system is still extremely tough to find online. That said, while the Gold Famicom Classic Mini appears to be in abundance (at least for the next few days), things might be changing in the future. Japanese distribution sources told NintendoSoup that Nintendo currently has no plans to make any more units after the Gold Famicom Mini’s first production run. It makes sense since it’s a product made to commemorate the 50th anniversary of the Weekly Shonen Jump magazine. 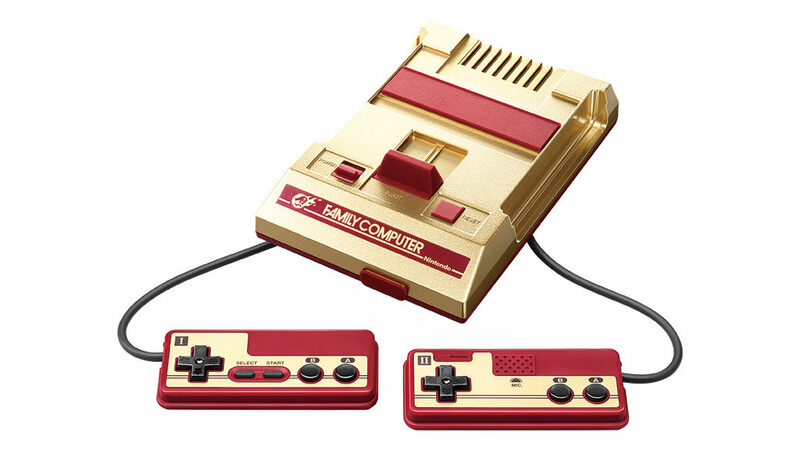 Have you bought a Gold Famicom Classic Mini yet? Let us know in the comments below.